“It was a devastating defeat,” said Gerald Benjamin, wounds still fresh from a blowout he had, in his seventies, worked very hard to avoid. “The size of the defeat upset me more than the fact of the defeat,” he added, referring to the overwhelming vote against holding a New York state constitutional convention. “I really think that this was a major missed opportunity,” Benjamin said by phone Monday, less than a week after New York voters decided 83 percent to 17 percent not to hold a convention to amend the state’s most powerful governing document. “The nature of the opportunity was misunderstood; the nature of the risk was miscalculated,” said Benjamin, from New Paltz, where he continues his work at the State University of New York, leading the Benjamin Center for Public Policy Initiatives, which was renamed after him in 2015. The constitutional convention vote result was despite Benjamin’s best efforts, barnstorming the state giving talks and participating in debates, explaining the once-in-a-generation opportunity to truly reform state government. He’s advocated for a constitutional convention for decades, including ahead of the last every-20-years vote, in 1997, which also resulted in no gathering to debate the structures and mandates of state law. Benjamin believes that the state constitution desperately needs modernization, the court system needs to be redesigned, and a host of changes should be made to how state government functions, including rebalancing of power between the executive and legislative branches, term limits for state legislators, and more, like home rule and campaign finance reforms. Asked if he had felt like he was voting for himself on the ballot, Benjamin laughed, and commented that the questioner appeared to be pushing him toward sentimentality. Throughout the campaign leading up to Election Day, Benjamin had regularly said that this would be the last opportunity for a convention “in my lifetime.” He’s now actively plotting his next moves toward reform. While Benjamin and other scholars and reformers were for calling a convention, in large part to pursue changes that entrenched powers have been unwilling to consider, the opposition to a convention was an immense coalition of labor unions, civil rights and environmental groups, and others, including many on both sides of the political aisle, with a few exceptions. They vastly outspent the “yes” side, using a campaign of fear (that pensions would be stripped or natural preserves unprotected) to drive members and activists to the polls to flip over the ballot and vote “no” on proposition one. “Those are the right were being rational,” Benjamin said, noting that Republicans are a dwindling minority in New York. “Those on the left, I don’t know.” Benjamin expressed what was a fairly common belief, that labor unions, civil rights groups, environmentalists, and allies of each were being too cynical in their opposition, that they could easily dominate a constitutional convention, which, if approved, would have taken place in 2019, with its proposals likely to be on the November 2020 ballot for voters to approve or vote down. In 2018, there would have been delegate elections, a process some, including Governor Andrew Cuomo, pointed to as problematic, since there are no rules restricting current officeholders or their associates from running, and no campaign finance rules beyond the porous state-level ones. Cuomo had expressed support for holding a convention in the past, but that had all but vanished by the start of this year. As for the concern from Cuomo and others about the delegate election process, Benjamin said one way to negate that issue in the future is to move legislation well ahead of the next convention vote, due for 2037. “Conversations have just started to make that happen and make some other things happen constitutionally,” Benjamin said, explaining that he is already facing the reality dealt to him on Election Day. “I’m not sitting here being discouraged,” he said. Reforms that would have been sought at a convention can be approached piecemeal, whether it is electoral reforms like early voting or a campaign finance system. Second, he said, “The nature of the question doesn’t tell late-arriving people that they are talking about the state constitution.” The wording of the ballot question, which is mandated by the current constitution, does not indicate whether the convention would deal with the state or federal constitution, and people with little background knowledge may be worried that the much-revered federal constitution could be on the chopping block. Steadfast that he’s nowhere near done seeking reform and improvement to state government structure and process, Benjamin said it’s hard to see a constitutional convention being approved in the future. “I can’t imagine the conditions that would arise, even the crisis conditions, in that case we’d address the crisis,” he said. The federal corruption trial of Norman Seabrook, former head of the correction officers’ union, has introduced new evidence of the contaminating role money plays in politics throughout the state. Jona Rechnitz, a wealthy real estate developer with a taste for power, became a star witness in the case after he got caught in the middle of an alleged deal that allowed Seabrook to get a kickback for investing the union’s pension funds in a risky hedge fund. Rechnitz had also been associated with allegations concerning the Port Authority and Westchester County, was found to have given expensive gifts to police brass in New York City in exchange for special treatment, and had donated so much money to Mayor Bill de Blasio’s election campaign in 2013 that he was appointed to the mayor’s inauguration committee. In the course of testimony, Rechnitz could not seem to restrain himself in bragging about his easy access to City Hall after raising more than $150,000 for the mayor -- access the mayor partially denies. In March, de Blasio had been relieved of criminal charges in two investigations when the Manhattan District Attorney and the U.S. Attorney issued coordinated statements indicating that there was insufficient evidence to prosecute him or his staff. With all due respect to Mr. Vance, I beg to differ with his conclusion, at least in part. “Spirit of the law” is a legal concept that commonly refers to higher order values that statutes are designed to fulfill. In this particular case, the laws in question could have been intended to limit contributions, or more generally “prevent corruption or the appearance of corruption,” but practically speaking, they are only half-hearted attempts to do either. When it comes to elections or politics, the real intent of the state law in New York is to create the illusion that legislators intend to limit the role money can play, while they incorporate loopholes to undermine effectiveness. Such a charade is the real “spirit of the law,” and one reason to seize opportunity to change it. Let me be specific. In New York State, an individual cannot donate more than $10,300 to the campaign of a single candidate. Ostensibly, the objective here is to prevent a donor’s undue influence over an elected official. A person can, however, donate up to a $103,000 to county political committees, which in turn can support a candidate with that money and more. The sad reality is that money is the fuel of American politics. If you want to enter the political arena, the first thing you need to do is fundraise. Unless you are independently wealthy, you need to attract donors. People don’t always contribute to campaigns out of altruism to greater causes or belief in a candidate’s capacity to do good. Donors, especially big donors, expect to be granted influence that may or may not benefit them personally. Independently wealthy candidates who can afford to spend their own money on an election bring their own problems. Mayor Michael Bloomberg spent such unfathomable amounts of money to get himself elected three times (nearly $110 million in 2009 alone) that it distorted the democratic process. (His main opponent, William Thompson, spent $10 million). Under the law, there is no limit to what a candidate can spend on his own campaign, even in New York City, which has significantly more robust campaign finance laws than at the state level. In fact, Bloomberg had so much money that he famously gave it away. When he was in office, Bloomberg’s top deputy mayor simultaneously served as the CEO of his private philanthropic foundation, which dispersed millions of dollars to applicants for various projects. The city Conflicts of Interest Board approved the arrangement, making it legal. When Bloomberg petitioned the City Council to overturn a term limits law so he could seek a third term, there were press reports that his aides pressured beneficiaries of his philanthropy to testify on his behalf. Governor Andrew Cuomo and the New York State Legislature have ignored appeals to enact meaningful election reforms to reduce the influence that money has in politics. In 2014, Cuomo abruptly and controversially dismissed his own Moreland Commission investigating corruption in the state. The Legislature in Albany is reputed to be one of the most corrupt and dysfunctional in the country. Over the past ten years, more than two dozen of its members have been convicted or sanctioned for wrongdoing, including the top leaders of both houses, who have been sentenced to jail (their convictions were each recently overturned based on new Supreme Court precedence, but they will be retried in 2018). The legislative process is invested in the status quo and rigged against reform. New Yorkers have a legal way to circumvent the legislative process by holding a constitutional convention if they vote to do so on Election Day. It is question one on the back of the ballot, where a “yes” vote would trigger the convention process. A convention would open discussion on a range of controversial issues, and it cannot fix all that is wrong with a money-driven political process that has been further compromised by the federal judiciary. Yet, given the hidebound thinking that immobilizes Albany, a convention is the only way to get the reform ball rolling on matters that go to the heart of the democratic process and its fundamental integrity. Joseph P. Viteritti is the Thomas Hunter Professor of Public Policy at Hunter College and author of The Pragmatist: Bill de Blasio’s Quest to Save the Soul of New York. Every 20 years, the New York State Constitution mandates a statewide vote on whether to convene a convention to consider amending it. On Tuesday, Election Day, New Yorkers will vote “yes” or “no.” This measure, question one of three on the back of the ballot, is more important than anything on the front. Tenants Political Action Committee debated this question at length, and despite many arguments in favor, we voted unanimously to oppose a “con con” this time around. This was not a decision we took lightly. With a state government that is a model of dysfunction and gridlock, it is tempting to try an end-run around the governor and state Legislature to attempt necessary reforms they have refused to enact despite the stunning number of politicians who have been convicted of corruption and gone to prison. Many New Yorkers of good will believe that a constitutional convention could force such reforms into being, and indeed that is a theoretical outcome. But the risk of a negative result for tenants and other constituencies that do not have access to piles of cash is very real. One negative is that delegates are chosen based on the 63 state Senate districts. Because Democratic Gov. Andrew Cuomo allowed the state Senate Republicans to draw hyper-partisan district lines to preserve their shrinking majority, this could result in Republican delegates to a convention having a majority. There is every reason to believe that the very politicians we now criticize for refusing to enact progressive reforms would control the convention. Current and former elected officials, and even lobbyists, are eligible to run, and legislators could use their superior name recognition and campaign funds to outgun grassroots candidates. Anyone who understands how Albany really works sees the probable composition of a convention as inclined to do the bidding of special interests. Beyond the potential to water down critical protections for poor people, workers, civil rights, and wilderness, there is one possible “reform” of special importance to tenants: allowing special interests to place legislation directly on the ballot by petition. Many states allow this already. New York does not. If such a referendum process was added to the state constitution, it is not hard to imagine the real estate lobby initiating a statewide referendum to terminate rent control laws, which only exist in New York City and the downstate suburbs. In fact, this is exactly how Massachusetts ended rent controls in 1994, passing a statewide referendum 52 to 48 percent. Only three cities in the eastern part of the state had rent control – Boston, Cambridge and Brookline – and the landlords’ multi-million-dollar media campaign in central and western Massachusetts made much of the fact that the mayor of Cambridge lived in a rent-controlled apartment. The analogy with New York is clear. New York City landlords would spend any amount to get rid of rent regulations via statewide ballot initiative. And if they failed the first time, they would keep trying. Some progressive groups take the position that this would be a good change in New York. They should consider the downside. Ballot initiatives are easier to mount by groups with superior resources, and easier for them to win for the same reason. We think there is a better way: in the last year, thousands of New Yorkers have become involved in organizations that work to raise political awareness and seek to hold politicians accountable, with a focus on swing districts and turncoat Democrats. The energy coming out of these efforts is inspiring. Let’s harness it to elect better legislators and change our laws at last. Michael McKee is treasurer of the Tenants Political Action Committee. On Twitter @TenantsPACNY. When New Yorkers vote on Nov. 7 on whether to call a state constitutional convention, the question they will see on the ballot is: “Shall there be a convention to revise the constitution and amend the same?” This ballot text is the only form of convention related media that every voter will see immediately before voting—and when many voters are most impressionable. In short, the ballot language is strongly biased against a “yes” vote. In 1846, when this language was first inserted into New York’s Constitution, it wasn’t biased in the same sense that it wasn’t then biased to refer to voters as white males. Only since the Civil War, with the growing chasm between knowledge of the federal and New York state constitutions, did it become biased. Prior to the Civil War and the passage of the 14th Amendment to the federal constitution (which extended federal rights protections to the states), states played a much greater role in American government. The pre-Civil War era was one of state rights, state power, and state glory. The federal government was often subservient to state government, provided far fewer services, and was even often viewed by some politicians as a stepping stone to serving in state government. Since the state and national constitutions were largely co-equal, students studied both. State constitutional reform was also often in the news, partly because New York’s constitution had been the subject of high-profile revision during every middle-aged adult’s lifetime (e.g., conventions in 1777, 1801, 1821, and 1846), something that wasn’t true of the federal constitution. Between 1803 and 1865 there were no federal constitutional amendments, let alone high profile conventions. Today, in contrast, New York’s constitution is often treated as a ragamuffin. Those who attend New York’s K-12 schools, visit its leading museums, and watch its history on TV, will rarely if ever be told that New York even has a constitution, let alone what’s in it or how New York’s nine state constitutional conventions shaped it. In contrast, the federal constitution has retained and even raised its position atop its Bible-like pedestal. To be fair, by the time most voters enter the voting booth on Nov. 7, they will know they have a state constitution. The ballot abstract provided by the New York State Board of Elections does explicitly refer to the constitution as a “State Constitution.” But the fraction of voters who read the abstract will be exposed to an arguably even worse type of bias. For the abstract describes only the cost of a convention; nowhere does it describe any benefits. Thus, a rational person who reads this description would infer that a convention only involves costs—which mimics the message being promoted by legislative leaders and others who are leading the campaign to oppose a “yes” vote. Instead of focusing on a convention’s costs and other procedural details, the ballot abstract should explain the convention’s democratic purpose in the context of the constitution. This would include explaining why New York’s framers provided for two methods of constitutional amendment, why New York courts have ruled that calling a convention is an inalienable right of the people, and why New York’s constitution (Article XIX, §3) specifies that when there are two conflicting amendments ratified by the people, the convention-proposed one trumps the legislature-proposed one. This year Evan Davis, a leading advocate for calling a convention and former Counsel to Governor Mario Cuomo, sued New York State’s Board of Elections regarding its placement of the convention referendum question on the ballot. The suit’s admirable goal was to have the question more prominently placed on the ballot. This would signal its importance to voters and thus encourage them to vote on it. The remedy sought, which the court denied, was to have the ballot question placed on the front side of the ballot, where voters choose candidates. A better proposed remedy, which would have avoided forcing judges to decide on the relative importance of candidate versus referendum questions, would have been to place the two different categories of questions on different ballots. This remedy would have treated candidate and convention questions equally, and it is used by legislators in other states when they want to discourage voters from leaving a legislature-initiated constitutional amendment question blank. On the other hand, since the convention question embodies New Yorkers’ most fundamental of all democratic rights—the people’s right to constitutional reform—it should arguably be given the most high-profile ballot position. Many states have granted it that position by calling a special election, but that remedy is both undesirable (e.g., it reduces turnout) and illegal (New York’s constitution specifies that the convention referendum be held at a general election). My own preferred approach would be to eliminate government control over ballot media—a power that government officials routinely abuse despite claiming to practice objective ballot journalism. But as I argued in a prior column, New York currently lacks the election infrastructure to make this reform viable. Fixing that antediluvian infrastructure should be a priority for any convention the voters approve. With only days to go before the election, the press should educate the public on the most basic constitutional and convention facts that New York’s public and non-profit educational institutions have shamefully failed to teach. First, a New York state constitution exists, and the convention referendum refers to it. Second, the New York constitution greatly differs from the federal constitution. It is about seven times as long (about 8,000 versus 55,000 words); full of provisions made obsolete by new federal laws; pockmarked with hundreds of legislatively-passed amendments that make the document incoherent and unreadable; and shunned by New York’s most prestigious educational institutions, including schools and museums, as unworthy of their educational efforts. Third, the framers of New York’s convention process believed that it had not only costs but great benefits, as it is New York’s only available mechanism to bypass the Legislature’s gatekeeping power over constitutional amendment—an essential component of New Yorkers’ right of constitutional reform. Fourth, the question’s obscure placement on the ballot should only signal incumbent state officials’ political self-interest, not the question’s importance as a safeguard of a vital democratic right--the people’s right to alter their constitution in the face of a legislature’s opposition. There is no more important question on the ballot, as signaled by the many millions of dollars New York’s most powerful legislative lobbying groups are spending to defeat it. 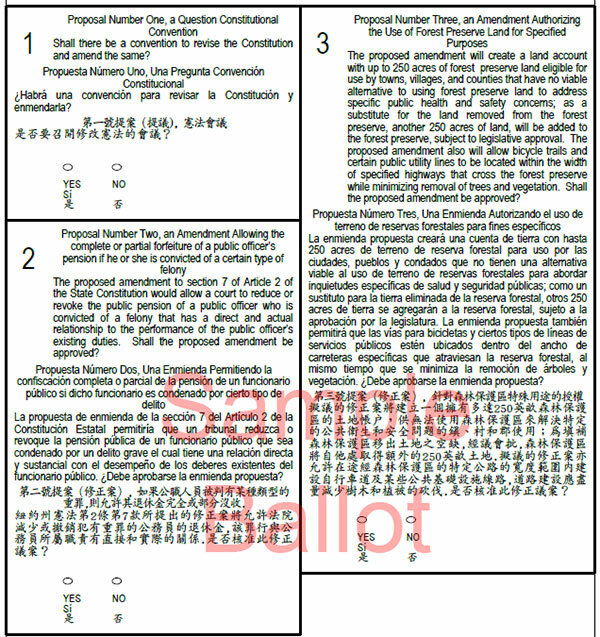 Addendum: Readers, including Karen Biesanz from the League of Women Voters, and Evan Davis from the Committee for a Constitutional Convention, have pointed out to me that the wording of the ballot question also misleadingly implies that a convention will not only propose but ratify amendments. In Ms. Biesanz’s words, it “implies that there WILL be revisions/amendments” despite a convention’s proposals not being “a done deal till the electorate votes to accept [them].” They have made an excellent point. The ballot’s wording bolsters the opposition’s strategy of implying that the people lack the power to vote a convention’s proposals up or down; it should have clarified that the people retain a veto power over any convention proposed constitutional reforms. J.H. Snider is the author of "Does the World Really Belong to the Living? The Decline of the Constitutional Convention in New York and Other U.S. States 1776-2015" and editor of The New York State Constitutional Convention Clearinghouse. 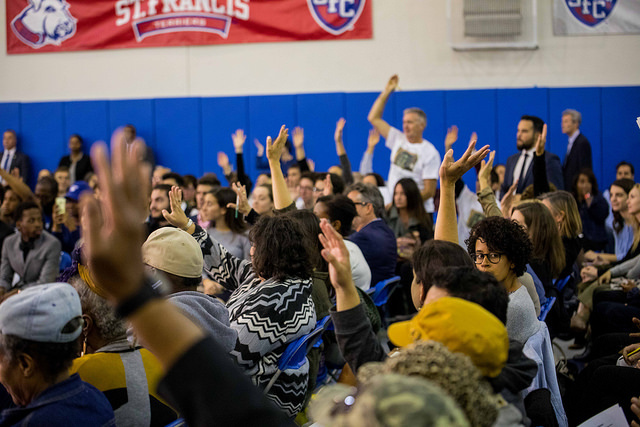 This November, New York voters will have the opportunity to vote “yes” or “no” on three ballot questions, each important in its own way. While the Constitutional Convention -- question number one -- has soaked up most of the ballot initiative press, New Yorkers get to weigh in on questions concerning stripping pensions from corrupt public officials and utilization of some protected forest reserves for essential infrastructure projects. As Election Day approaches, familiarize yourself with the three ballot questions, and don’t forget to turn your ballot over when you go to vote November 7! The proposed Constitutional Convention, or Con Con, has been the most divisive and high profile ballot question of the 2017 election cycle. Every 20 years, it is mandated by the current constitution that New Yorkers are given the opportunity to vote on whether to hold a convention to amend the state constitution. A “yes” vote would trigger a multi-step process toward revising the state constitution, which most experts agree is outdated and in need of reform. Even if a convention is triggered, there is no guarantee that the constitution will change, as voters will again have the final say in approving or voting down what a convention proposes. If approved, voters would select delegates to the convention on Election Day in November 2018 -- three delegate per state Senate district, for a total of 189, and 15 at-large delegates across the state. They would then convene to discuss potential amendments and submit recommendations, which would then be put up for a final popular statewide vote in November 2019. If approved, the constitution will be amended. The proposals could be put to voters as a full package, like in 1967, or piecemeal, which many say is preferable. During the last referendum, in 1997, voters rejected a Con Con 63-37. The last convention, held in 1967, was actually called by the Legislature, not voters, and did not result in constitutional amendments as voters opposed the slate of proposals that came out of the convention. The last convention to result in amendments took place in 1938, after voters chose to call a convention in 1936, amid the Great Depression. Many on the “yes” and “no” sides actually agree on the need to update the constitution and to pass certain reforms -- like updates to the state’s antiquated voting laws -- that have not made it through the state Legislature in Albany. But, there are strong differences of opinion about the best path to achieve reforms that also mitigates risks to hard-won provisions that could be vulnerable if a convention is called. 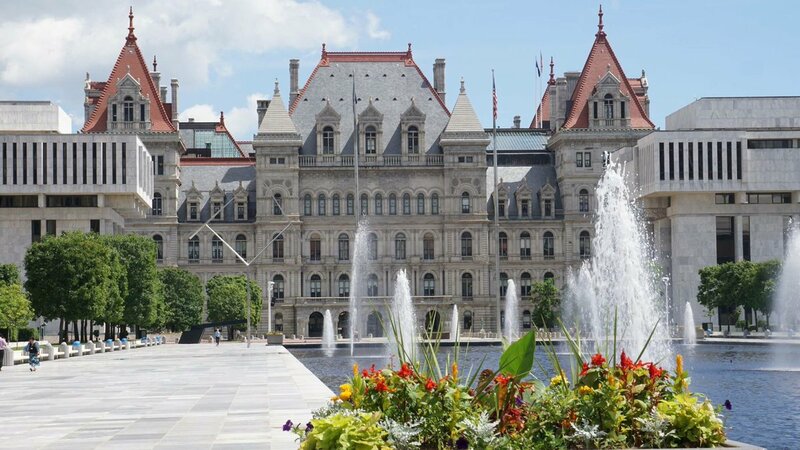 The convention is being supported by a variety of good government groups, who feel that the culture of corruption in Albany will never be resolved by the state Legislature. The Convention could, for example, finally lead to action on the LLC loophole, which allows essentially unlimited donations to political campaigns. The convention could also make the job of a state legislator a full-time position where outside income is forbidden or significantly limited; recommend term limits for legislators; and more. Some in New York City see a convention as a great opportunity to change home rule powers whereby the city would have more power over its own affairs and be less reliant on state government. There is no shortage of potential issues that could be taken up at a convention, a fact used by both sides. Some advocates, like pro-choice groups, believe that a convention could enshrine certain rights into the state constitution -- like those mandated by the Roe v. Wade Supreme Court decision -- which has not been amended since 35 years before Roe v. Wade. State law does outline abortion protections, but they are less robust than Roe v. Wade, which has concerned pro-choice advocates for some time. But leading pro-choice groups also fear a convention could strip the state abortion protections already in place, leaving New York even more vulnerable to the potential Supreme Court overturn of Roe v. Wade. Opponents of a convention are far and wide, from labor unions to civil rights groups to many elected officials of both major parties. There are some exceptions, like Democratic State Senator Liz Krueger and Assembly Minority Leader Brian Kolb, a Republican. Governor Andrew Cuomo had expressed support for a Con Con, but he has receded over time. Mayor Bill de Blasio and the leaders of the majority conferences in the Legislature are against a Con Con. De Blasio and others have called the possibility attractive, but warned of the risk, while Republican Senate Majority Leader John Flanagan has questioned the monetary cost of a convention. Labor unions and their allies are concerned that a convention could lead to the elimination of pension protections for workers. Other liberal groups worry that conservative billionaires could hijack the convention process and strip the constitution of its progressive protections, such as for the state’s “forever wild” forest preserve. Meanwhile, conservative groups worry that the constitution could become even more liberal than it is; many upstate are worried about a loss of gun rights if a convention were held. Public opinion and debate has been sharply divided on the issue; a recent Siena College poll showed that 44% of voters support holding a Con Con while 39% are opposed, a change from a July Quinnipiac poll stating that 55% of voters supported holding a convention while 30% were opposed. Proposal 2: Strip Public Pensions from Government Officials Convicted of Public Corruption. Perhaps the most straightforward of the three ballot questions, number two has encountered little opposition, controversy, or discussion. With a culture of corruption in and around New York politics, especially at the highest levels of state government, wherein dozens of legislators have been convicted of abusing their powers, the measure, if passed, would allow judges to either strip or diminish the public pension of any government official convicted of public corruption. The Public Integrity Reform Act of 2011, passed unanimously in the Senate, with one nay vote in the Assembly, and signed by Governor Andrew Cuomo, enacted the substance of this proposal, but only for people who entered the state pension system thereafter. This loophole led to further action. The measure would allow judges to revoke pensions from any official convicted after the enactment, permanently. The vast majority of public officials support the measure, including Cuomo. The most recent vote on the amendment, in January of this year, passed the Assembly unanimously, but passed the Senate with four nay votes: Democrats Ruben Diaz Sr, Velmanette Montgomery, and Kevin Parker, and Diane Savino, who is a member of the Independent Democratic Conference. The only concerns that appear to have been raised related to exactly who the provision would apply to and concerns for the spouses and other family members of convicted politicians who may be in financial trouble without the politician’s pension funds. The third ballot question concerns a proposal to allow certain development on some of the state’s “forever wild” land preserves. Per the current constitution, these lands are preserved with no room for further development. The proposal would create a 250 acre land bank that municipal governments could utilize to build infrastructure projects deemed necessary for the safety and economic vitality of the surrounding regions, on the condition that an additional 250 acres of forest are added to the state’s protected forest reserve in replacement. The provision, which is supported by most elected officials in the direct areas involved and by environmental groups, would also allow the construction of bike paths, sewer lines, and other public infrastructure within the width of highways in the preserve. The measure aims to provide basic infrastructure, like water wells, and promote economic development in rural areas upstate. The amendment was overwhelmingly approved in the most recent state legislative session. In the Assembly, it passed 131 to 0, with 19 abstentions. In the Senate, it passed 61 to 0, with 2 abstentions. Like proposal 2, opposition to this amendment is virtually non-existent. There is some concern, though, that energy for the “no” vote for the constitutional convention could theoretically lead to “no” votes for the remaining two questions despite widespread public support. On Election Day, November 7, New Yorkers will be asked whether the state should hold a constitutional convention. It is a quesion that appears on the ballot every 20 years, mandated by the current constitution, and allows voters to simply answer "yes" or "no." 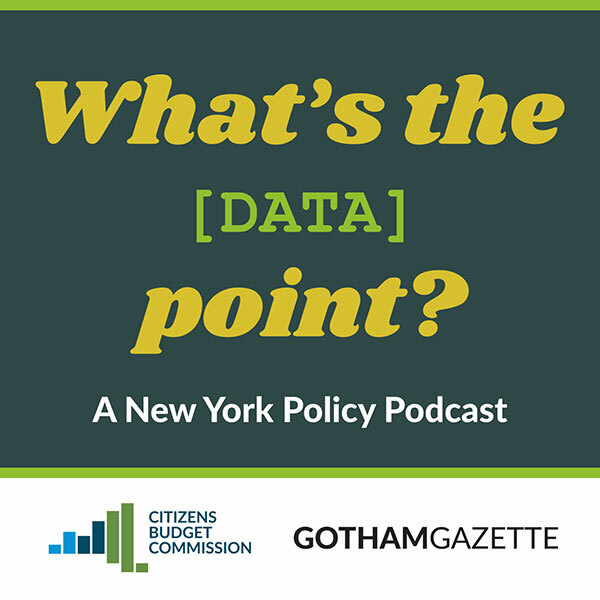 Gerald Benjamin, a distinguished scholar from SUNY New Paltz and proponent of calling a convention, joined the podcast to discuss the controversial topic that has many in New York focused on either securing approval or voting it down. The data point, 1936, was the last time New York voters approved a Con Con, as it is often called. 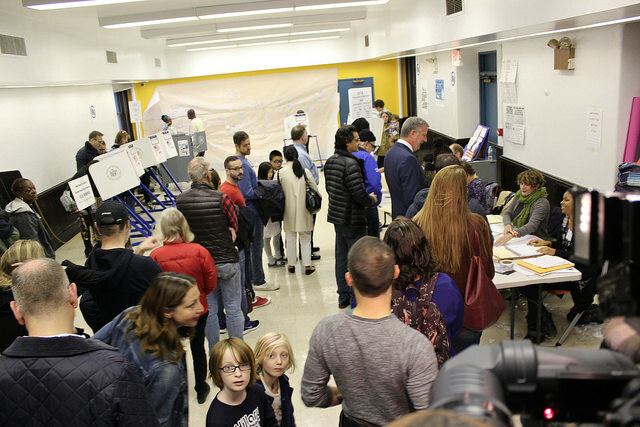 Benjamin believes this is the year the "yes" side could win again, and he explains both why New Yorkers should vote in favor and many of the issues surrounding the question. Listen to the conversation and let us know what you think: Ben Max of GG (@TweetBenMax) & CBC (@cbcny) Listen below or download wherever you get your podcasts! The legislation, which has passed through two consecutive sessions of the Legislature in order to make it onto the ballot, allows for select infrastructure projects deemed necessary for the safety and economic vitality of nearby areas to be installed without a constitutional amendment. It is the third referendum that will to be presented to voters on Election Day in November. Along with candidates for office, there will be three “yes” or “no” questions on voters’ ballots. The measure related to some building in the Adirondacks and Catskills will be number three, after a question of whether New York should hold a constitutional convention and whether pensions should be stripped from elected officials convicted of public corruption. Currently, the New York State Constitution’s “forever wild” clause, which protects the state forest preserve as wild forest land, prohibits the lease, sale, exchange, or taking of any forest preserve land. For counties and townships in the relevant regions, road and bridge repairs and the installation of things like bike paths, broadband internet, or a water well infrastructure that cut into the surrounding forest preserve would require a constitutional amendment -- which takes a minimum of two years, involving double passage by the state Legislature and then approval from voters. The sluggish process of critical projects has created safety concerns and hampered economic growth in New York State’s North Country, according to a spokesperson for state Senator Betty Little, a Republican from Queensbury County who sponsored the bill. "The impetus for doing this amendment is to enable a very, very small category of projects to move forward without, in every instance, amending the constitution," said Daniel MacEntee, Little’s press secretary. “The North Country can't afford to be left behind. If there was better connectivity, it would be very beneficial to the economy, health, and safety of the region,” he added. If the amendment passes, the state will create a “land account,” or up to 250 acres of forest preserve land surrounding county and town highways that can be encroached on for select projects. A town, village, or county can apply to the land account if it believes it has no viable alternative to using forest preserve land for certain limited health and safety purposes on or near major thruways. Projects concerning the safety of bridges; the elimination of dangerous highway curves; relocation and maintenance of roadways; and the construction of water wells within 530 feet of a major highway, in order to meet basic drinking water quality standards, are all covered under the first exception. The proposed amendment, sponsored in the state Assembly by Democratic Assemblymember Dan Stec, would also allow bicycle paths and specified types of public utility lines (including high speed internet), to be located within the widths of state, county, and certain town highways that traverse forest preserve land -- as long as there is minimal removal of trees and vegetation. While the ammendment past during the normal legislative session, state lawmakers passed the enacting language for the amendment in June, when the Legislature reconvened in a special session to extend mayoral control of New York City schools and pass other measures. If New Yorkers vote in favor of the ballot measure on November 7, it will be enacted immediately. The measure, which has been years in the works, has widespread approval from elected leaders, stakeholders, and environmental agencies, and Senator Little is optimistic that it will be passed on Election Day, according to MacEntee. While environmental groups have historically resisted constitutional scale-backs of the “forever wild” provision, the state’s Department of Environmental Conservation and the governor’s office were heavily involved in drafting the legislation, according to Assemblymember Steve Englebright, chair of the Assembly’s Environmental Conservation Committee. Englebright noted that the legislation is based on a similar constitutional amendment made for state highways, which designated 400 acres of land for such restoration projects. Based on the pace of utilization from that land pool, the 250 acres of land is expected to last at least half a century, according to Englebright. Two other questions, one asking voters to decide on whether to hold a convention to amend the constitution, and an ethics measure to strip pensions from a public officer that has been convicted of a crime related to his or her official duties, will also be on the ballot in November. 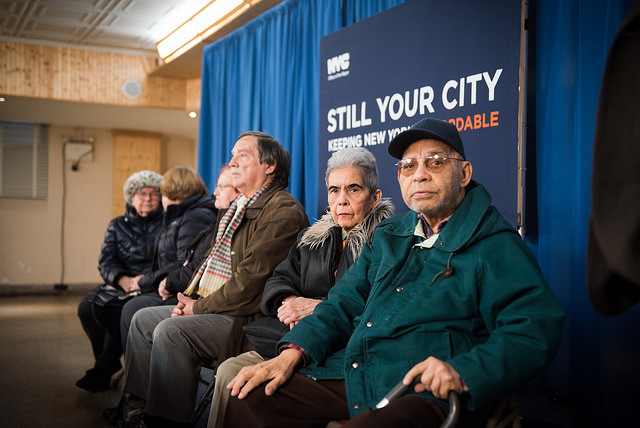 The outcomes of all of these questions will be heavily influenced by New York City voters, given that the city is such a population center and is holding a mayoral election, as well as many others for City Council and other offices. While turnout is expected to again be low, it will account for a significant portion of the total, along with those voting in local elections elsewhere across the state. There are no statewide elections this year, though, other than the ballot questions. The second and third questions, as constitutional amendments, have passed the Legislature twice, and have been rigorously vetted by elected officials, advocates, and other stakeholders. Aside from the convention question, the two pieces of legislation touch on larger reforms proposed by advocates of a constitutional convention: ethics reform and strengthening home rule. The Con Con question, though facing a more uncertain future, poses a unique once-in-a-generation opportunity to dramatically overhaul the state’s lengthy and outdated constitution. Proponents say it can, among other things, be used to enact term limits for elected officials, improve the state’s courts system, create a strong system for legislative redistricting, and enact significant campaign finance reform. 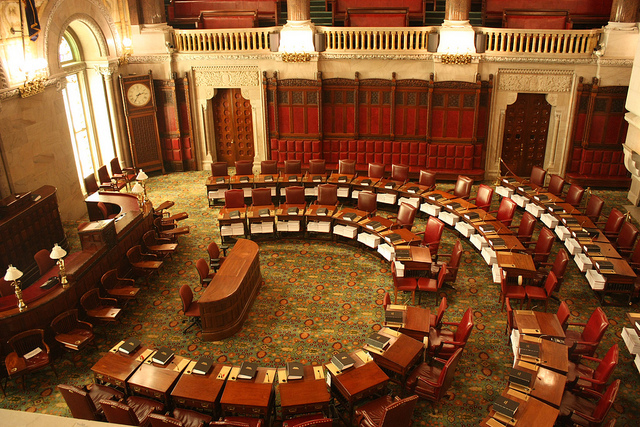 While the referendum on holding a constitutional convention is posed to voters once every 20 years, New Yorkers voted down the measure in 1997, and it faces strong opposition from certain interest groups including environmentalists who are worried about preserving the “forever wild” law in its original form and labor unions who want to protect organizing and pension provisions. It is unclear how sharing the ballot with two other questions will impact the constitutional convention vote, and vice versa. Gerald Benjamin, a SUNY New Paltz professor and longtime advocate for a constitutional convention, said he believes the other two questions will be overshadowed by the debate over the convention, which is heating up. “The driver is going to be the Con Con vote,” said Benjamin. “You are getting an elevated attention to referenda, which is uncommon in New York. So you are expanding the electorate for the other two, potentially.” Groups are beginning to spend heavily to raise awareness about the convention questions and push their preferred vote. However, the other two amendments may fuel arguments by opponents of a convention -- including one made by both legislative leaders -- that tweaks to the constitution can be done slowly over time, through amendments. Benjamin said that this argument is specious, because the use of constitutional amendments as a legislative fix has grown less frequent, and when it is used, the matters that do get changed are small. The amendment related to forest preserves expressly does not permit the construction of new intrastate gas or oil pipelines that did not receive necessary state and local permits and approvals by June 1, 2016. My union member father recently asked me how New Yorkers on the left can possibly want a state constitutional convention, for which a referendum will be on the ballot this November. After all, the roster of opponents includes organized labor, environmental groups, the executive director of the New York Civil Liberties Union, and the vast majority of New York’s elected Democrats. These progressives have reasonable arguments against a constitutional convention, or “con con,” which will only happen if a majority of voters votes for the referendum in November. They worry about constitutional pension protections and the “forever wild” language that safeguards New York’s forest preserves from development. They cite the obstacles the left would face during delegate elections in November 2018, which would determine who drafts constitutional amendments: first, dark money from wealthy interests could crush good candidates, and second, delegates would be elected by state Senate districts, which are gerrymandered to favor Republicans. A skeptical policy wonk friend of mine has also pointed out that the most recent state con con that produced a progressive victory was Montana’s -- in 1972. These concerns are valid, yet now is the moment to take this risk. If voters across the state favor a con con this November, then delegate elections would be on the same ballot as the federal congressional midterm elections in 2018. We cannot pass up this serendipitous timing. The left’s first lucky draw is that 36 of the past 39 midterm elections have resulted in losses for the party that holds the White House, currently the Republican Party. Second, while we’re still a long way from November 2018, I wouldn’t bet on this likely Democratic win being small. Donald Trump is uniquely unpopular for a President at this point in his term, Republicans – independently of the president – are rallying around a health care bill that, in the last version scored by the nonpartisan Congressional Budget Office, will result in 15 million fewer people having health insurance, and the left’s grassroots are ready to storm the figurative Bastille. To reinforce this point, con con delegates would be elected on the very same ballot people will use for the November 2018 congressional midterms. The left is going to swamp the polls. When Long Islanders just swung a state Assembly seat nearly 20 points away from November’s Republican vote, we can have some faith that progressives will show up in force for federal elections. Heightened voter turnout can overcome many of the fears progressive con con opponents have, but there are other reasons to be optimistic regarding the structural disadvantages the left will face. True, if the con con referendum passes this November, three delegates would be elected per gerrymandered state Senate district. But Hillary Clinton managed to win 40 of 63 of these districts and there will be 15 more at-large delegates elected by statewide vote. This slate would likely have a leftward tilt from the aforementioned Democratic surge. Albany is broken. It would be wonderful to have progressive policies enacted through normal legislative channels, but New Yorkers know that won’t happen. Even when corruption scandals aren’t rocking our Legislature, decisions are made by three – or four, thanks to the Independent Democratic Conference – men in a room who refuse to advance many progressive priorities. The amendments con con advocates are pushing vary. Some supporters want “good government” changes that will make it easier to vote and improve campaign financing and redistricting rules. After enacting these reforms, progressive change could happen organically through a more representative and better functioning Legislature. The theory goes that constitutional amendments in this vein would be nonpartisan and Republicans who care about small-d democracy will get behind them. Other con con proponents want to embed policies in the state constitution itself, whether on reproductive rights, enhanced civil rights for nonwhite and LGBTQ people, marijuana legalization, or an environmental bill of rights that will prevent a future disaster like what befell Hoosick Falls. They note that those pension and state forest protections opponents fret over were themselves enshrined in a constitutional convention. There are solid arguments in favor of either strategy. I have heard con con believers describe this as a once-in-a-generation chance to systematically change the way state government works, but they’re wrong. They’re actually overstating the odds that we’ll see another opportunity like this in two or four decades when the next con con referendums roll around. We have a historically unpopular Republican government in Washington and an extraordinarily animated grassroots. Take advantage of this rare convergence. This November 7th, vote “yes” for the constitutional convention. 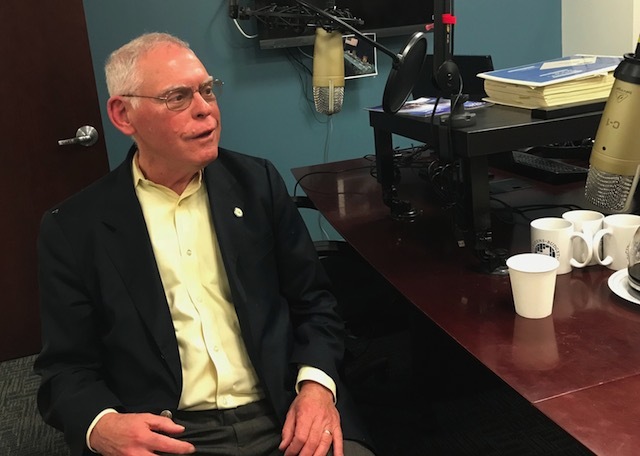 Daniel Edelman is a government consultant and a member of the New Kings Democrats and Citizens Union, two civic groups in favor of the Constitutional Convention. The views expressed are his own. There’s no telling if the cost of the 1967 convention is a good guide for what a convention would cost if held today. After all, 1967 was half a century ago. (It’s the longest time since a constitutional convention was held in New York State history.) Some say that a better estimate is this year’s budget for the Legislature’s larger house, the Assembly. That roughly doubles the number, bringing it to $105.4 million. One big thing is being missed: a major expense of the convention, the cost for delegates’ pay, would likely be lower in real terms this time around. The reason? Each delegate must be paid the salary of an Assembly member, and legislative compensation has gone up since 1967 far more slowly than the rate of inflation. In 1967 there were 186 delegates; each was paid $15,000. Total delegate costs were therefore $2,790,000, just short of 40% of the convention’s overall cost. At the next convention, if it is authorized, there will be 204 delegates (three from each Senate district – there are now 63, not 57 – and 15 at large). Unless there is a legislative pay raise, each will earn $79,500. The total payroll for delegates will thus be $16,218,000. This is 29.8% of the current-dollar cost of the 1967 convention, and 15.4% of the 2017 Assembly budget. At this potential level of cost, is a convention worth it? A comparison, albeit imperfect, suggests itself. Successful businesses regularly reorganize, merge, or acquire companies to increase profitability by becoming more efficient, managing scale, and consolidating strengths. A close friend on Wall Street estimated the bankers’ costs of a $50 billion acquisition to be somewhere around .50% of enterprise value – lawyers of course are extra! The New York state budget is $153.1 billion. If we use $105 million as the high end constitutional convention cost – we arrive at a “reorganization “ cost that is .001% of the state’s annual budget. Corporate reorganizations, mergers, and acquisitions are pursued because the benefits are expected to exceed the costs and to accrete over the long term. Not all benefits, of course, can be defined with a financial value. The gains a convention would likely produce in democratic accountability and good government are potentially enormous, but hard to monetize. However, think of this: One 2007 study estimated that a thorough reorganization of New York’s courts, sought for decades and recently said by the State Bar Association to be possible only through a constitutional convention, would save over $500 million ($600 million in 2017 dollars). That’s six times the high end cost of a convention in 2017. What do these numbers tell us? It’s a no brainer. We cannot afford to not hold a constitutional convention.